Community radio host Ciara receives dozens of unmarked cassette recordings every week and broadcasts them to a listenership of none. Ex-musician Tom drives an impractical bus that no one ever boards. Publican Jenny runs a hotel that has no patrons. Rick wanders the aisles of the Woolworths every day in an attempt to blunt the disappointment of adulthood. In a town of innumerable petrol stations, labyrinthine cul-de-sac streets, two competing shopping plazas, and ubiquitous drive-thru franchises, where are these people likely to find the truth about their collective past - and can they do so before the town completely disappears? Shaun Prescott’s debut novel The Town follows an unnamed narrator’s efforts to complete a book about disappeared towns in the Central West of New South Wales. Set in a yet-to-disappear town in the region-a town believed by its inhabitants to have no history at all-the novel traces its characters' attempts to carve their own identities in a place that is both unyielding and teetering on the edge of oblivion. It’s telling how a novel sets up, and answers, its mysteries. I’ve always preferred the ones that don’t sacrifice plot for character or vice-versa, and instead meet somewhere in the middle. 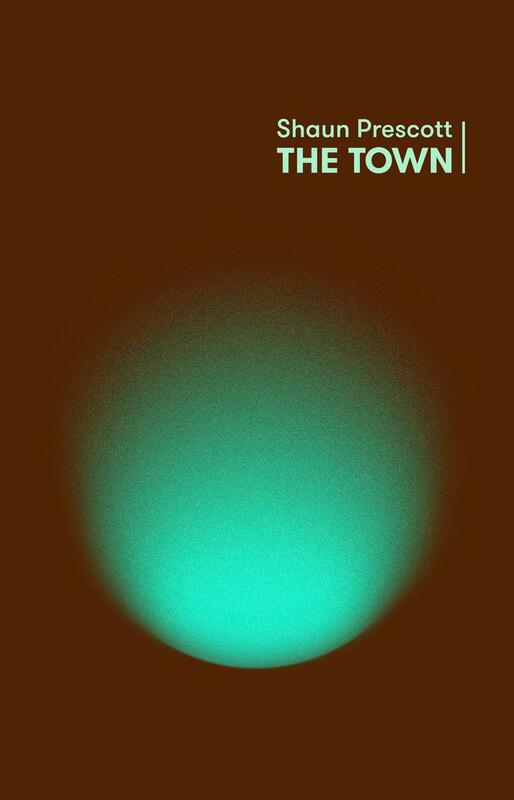 The Town, the first novel by Australian author Shaun Prescott, hits this particular sweet spot, giving us a book that’s both incredibly strange and incredibly gripping in equal measure. The novel starts with its unnamed narrator moving to a small Australian town, where he’s stacking shelves at one of its many supermarkets and working on a book about disappearing towns in the area. He has trouble convincing the townsfolk of these places, since they no longer exist, even as the town they’re in is slowly edging towards the same fate. Alongside his research into disappearing towns, the narrator drinks beer at an empty pub, hangs out with his flatmate Rob’s girlfriend, while she distributes cassette tapes around town, rides the town’s only bus (which no one ever catches), and frets about being bashed for no reason by a townsperson he doesn’t know named Steve Sanders. The Town is a novel filled with outsiders: people who suddenly find themselves adults even though they still feel like they’re teenagers, a music scene wholly invented by a radio host who has no listeners, and a seasonal disco that inevitably turns into a huge brawl every time it’s held. Prescott has a real skill of presenting the banality of everyday life in a way that is wholly original and strange, but his real achievement here is that each aspect of this novel is expertly balanced, and the distanced tone manages to make the story’s most bizarre aspects seem commonplace. It’s hard to imagine that we’ll get a more original Australian novel this year.